The Big Giant Media team specializes in graphic design, website design and marketing strategies, and we will use our talent, skill and years of experience to create an appealing, built-to-order solution that will fulfill your needs. We're aware that the development process may hold many surprises for you along the way: extraordinary design solutions you may not have considered, cutting-edge technology you haven't heard about, or oblique terminology you might not understand. With an open-door consultation policy during the entire development process, you can rest assured the Design Team at Big Giant Media will explain all of the options available to you at every stage, describe how your project will work in terms that our easy to understand, and guide you in making informed decisions along the way. If your business design requirements include a new logo or full corporate branding, a simple tri-fold brochure or a multi-page full-color catalog, large format graphic design for banners or vehicle-wrap graphics, or a new website design, Big Giant Media can handle all of your graphic design demands. In fact, if you want a graphic designer for any type of project, you need look no further than Big Giant Media's experienced graphic design staff! Whether your organization is new or has been in business for years, Big Giant Media's graphic designers are ready to help you take the next step. Let us enhance your identity with new corporate branding, business cards, brochures, mailers, catalogs, banners, signs, trade show displays, vehicle wraps or a new website design. 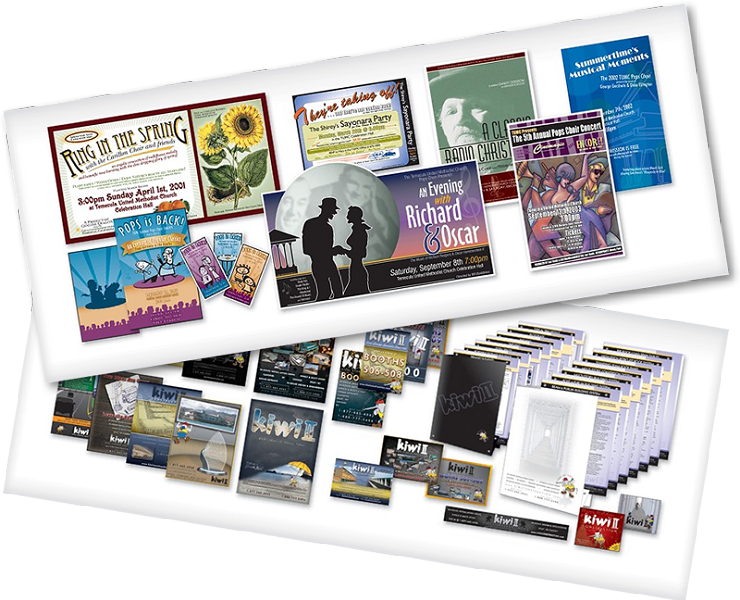 Years of graphic design experience have honed Big Giant Media's ability to create all of your new marketing materials. Big Giant has the know-how to implement a unique plan that will make your strategies a success! The time has never been better. Take the next step with Big Giant Media, Inc.